LOUISVILLE — For many people, the holidays bring an abundance of casual conversation about family. That conversation, though, can be hurtful to adoptive families. 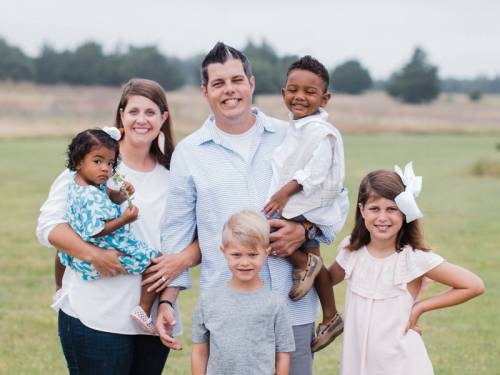 According to a release from the Presbyterian Children’s Homes and Services, Hoevker has a passion for working with birth moms, adoptive parents and adoptees of all ages — she is an adoptive mother herself. She cites another expression, “put up for adoption,” which has a negative connotation. The term dates from the 1800s, when orphan trains carried children west. Children were literally put up on a station platform, like merchandise, for selection. Hoevker offers examples of how individuals make a difference in speaking with, and about, extended family. We can welcome adopted relatives without referring to them or their new parents as “special.” Children may hear that as “different” or “second best.” If we receive Christmas newsletters with photos, we can share them at home and name all the faces regardless of how they joined the family. Presbyterian Children’s Homes and Services offers Maternity and Adoption Services as well as Foster Care. Call 800-888-1904 for more information.